A pattern is simply a repeated or recurring design. Little kids begin to learn patterns early in as a way to understand relationships between objects and make predictions about what comes next. Once kids really understand what pattern are they will begin to see them everywhere- in life and art! 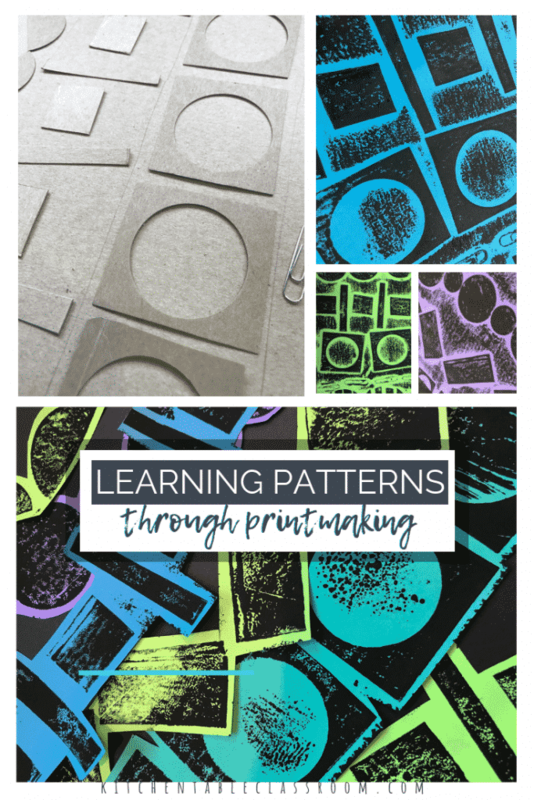 This collograph printmaking project is a great way for kids to begin playing with and making their own patterns! 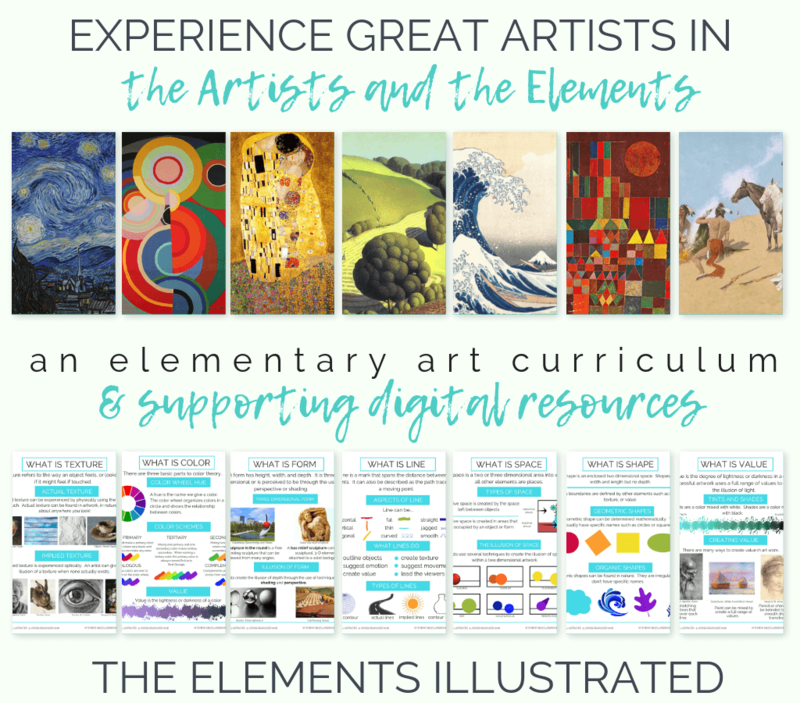 What exactly is a collograph…. “Ta ta, I’m off to make some collographs.” So fancy, right? While collograph may sound like a fancy art term the process itself is as simple (and gratifying) as can be. A collograph is simply a print made from a collage of materials. So you’re looking to make a somewhat flat collage that can be rolled with ink or paint and then printed onto paper. 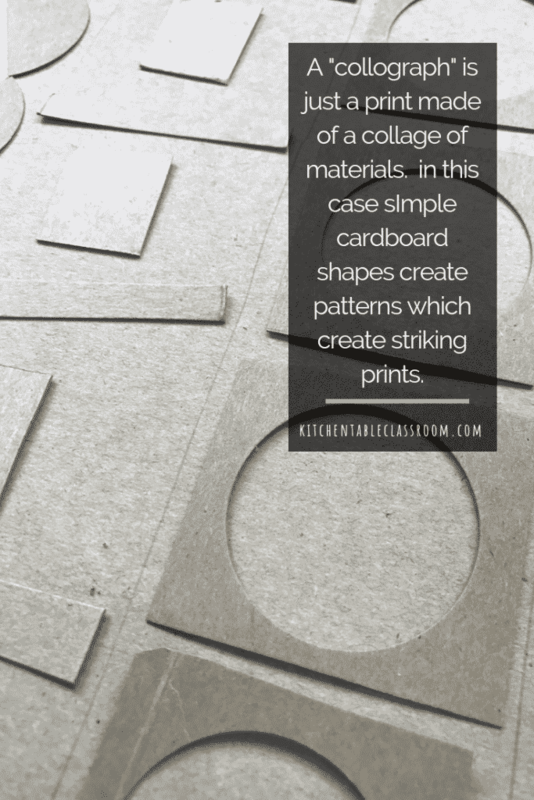 In this case we used cardboard and focused on creating simple patterns. Follow along! I designed this lesson to be used with younger kids but it could easily be elaborated on for any skill level. 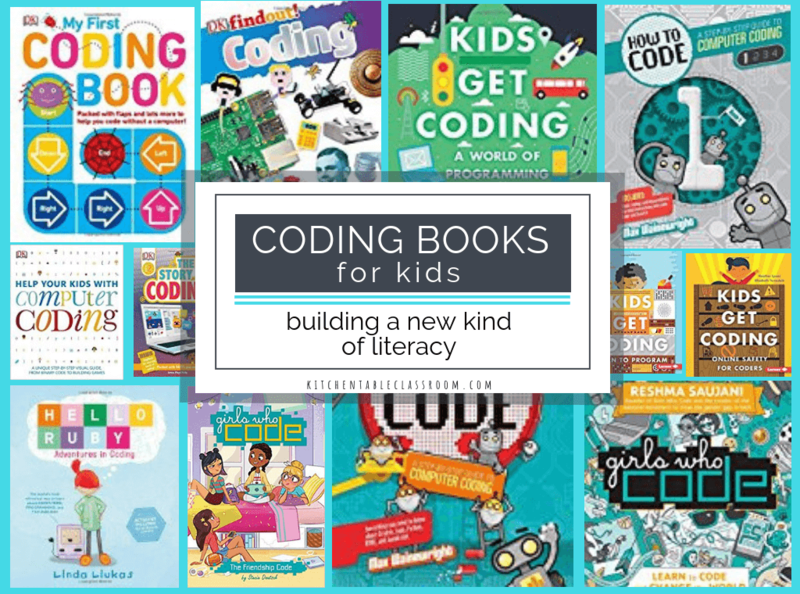 There are a couple of components for littles to think about as they work. One is creating a pattern. The other is scissor skills. If you’re kids are older these challenges will be smaller and they can spend their effort developing a more elaborate pattern. Pattern is something little people talk a lot about in math. An alternating pattern is referred to as ABAB. Or a pattern that repeats three components might be ABCABC. It’s funny how this math patterning doesn’t always naturally transition to thinking about art and shapes. 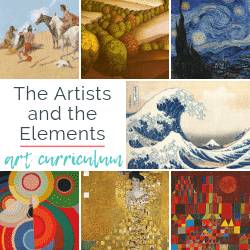 It’s the same thing but often math stays in the math room and art stays in the art room. It is helpful to point out those connections. Learning patterns helps kids understand relationships between the concepts involved and be able to make predictions about the future. It’s a basic idea with big repercussions! Books are a fun way to highlight the idea of pattern. Books are a natural way to bring concepts like this to life. Here are a few of may favorites. The printmaking supplies are pretty minimal here. I suggest using cardboard from cereal boxes or something similar for the printing plate itself. My kids eat an obscene amount of cereal so a.) we have it readily available and, b.) it is the perfect weight to provide some height to your collage while still being easy for little hands to cut. Each child will need two pieces of cardboard. One to create the collage on (the background) and one to cut up to create the pattern pieces. I suggest giving kids precut strips from which to cut their patterns. This gives them a manageable place to start! The beauty of using a free supply (like cereal boxes) is that it gives kids the freedom to experiment. Cut out a bunch of shapes. Play with them, rearrange them, and see what you like the most. Once kids have created a single row of pattern go ahead and glue it down. Plain old Elmer’s glue works great to fix the shapes in place. Move on to creating another row of patterns. When the background paper is full leave them and go read a book ’cause the collages must be totally dry and fixed in place for the next step! So, this is the part where it is helpful to use some actual printmaking supplies. You could brush on acrylic paint and pull a print but in my experience acrylic and tempera dry too quickly to get a good print. 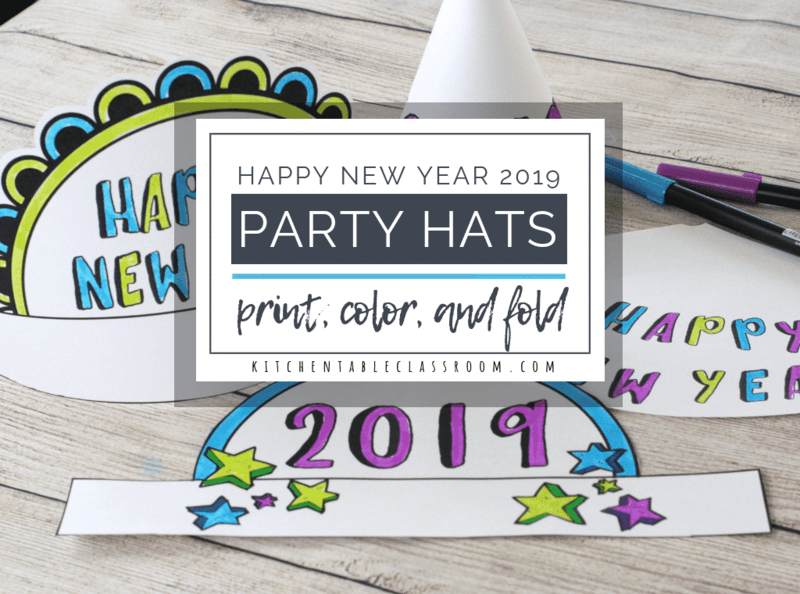 The good news is one color of ink (black) combined with vibrant paper can still give you lots of variety and “pop” for your dollar. All you really need are some black printmaking ink and a brayer. I used the brayer and black ink from this Speedball beginning printmaking kit that I bought to do lino cutting with my kids. (Check out this intro to lino cutting and this two value portrait done with lino cut printmaking here.) This kit has the brayer and the ink you need plus a linoleum carver with three blades and some easy carve rubber for a little less than the two items above. 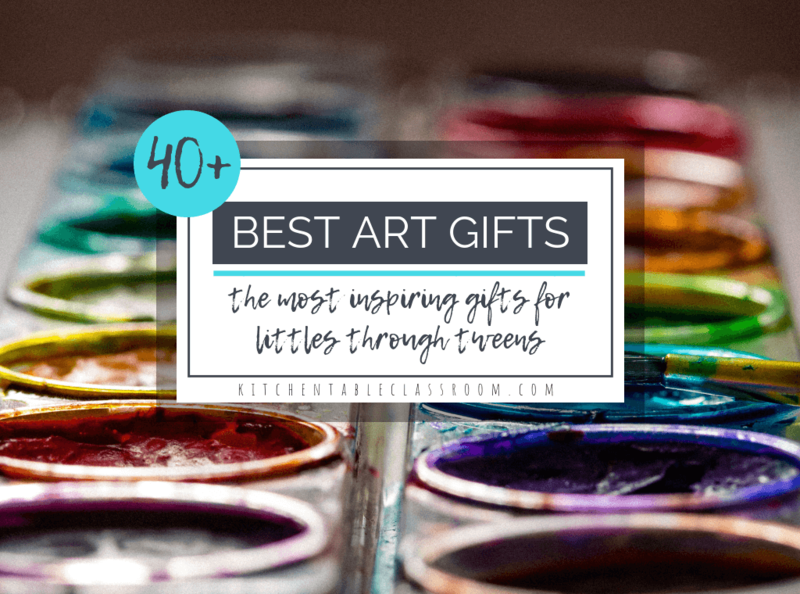 If your kiddo enjoys printmaking this kit is a steal. 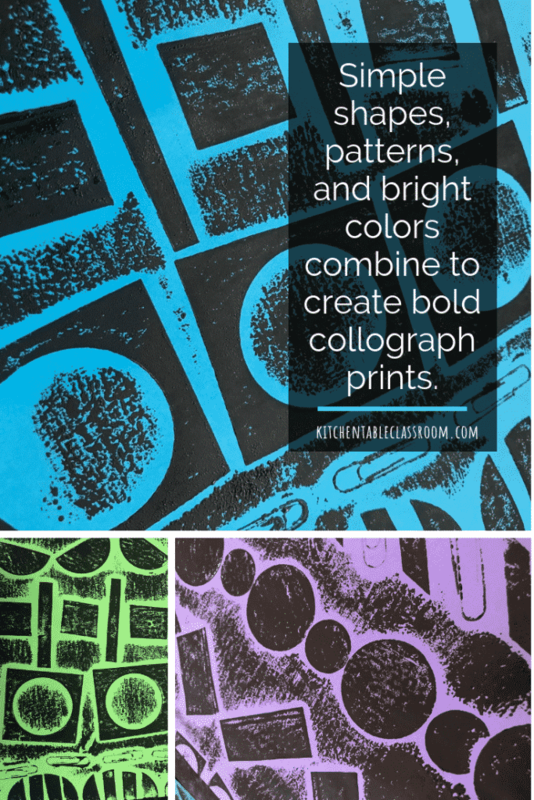 Squirt a dollop of printmaking ink on a paper plate end roll back and forth with a brayer. Switch your plate ninety degrees and roll some more. When it’s adequately spread out and ready you will hear a satisfying “squeak” as you roll. Roll ink onto your collograph printing plate collage and immediately turn paper over onto the ink. Use your hand to smooth paper and make sure all areas of paper are making contact with the printing plate. Starting at one corner peel print off of printing plate and lay aside to dry. After pulling the first print ink that printing plate again and print using a new color of paper. That gives a nice variety without the hassle of multiple colors of printing ink. These prints are super colorful and fun as is but we went one more step. 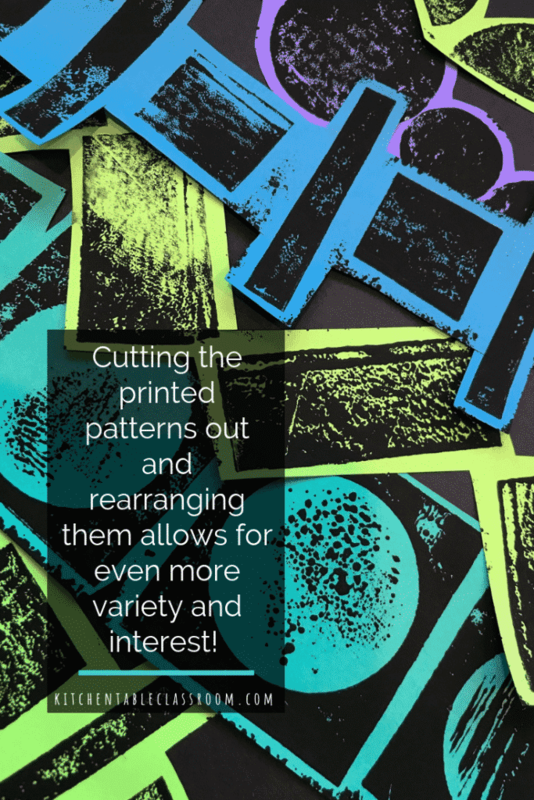 After prints are dry try having students cut out their pattern strips. Use pattern strips to make new patterns as part of a collage. This gives kids a chance to use even more patterning and more scissor skills. 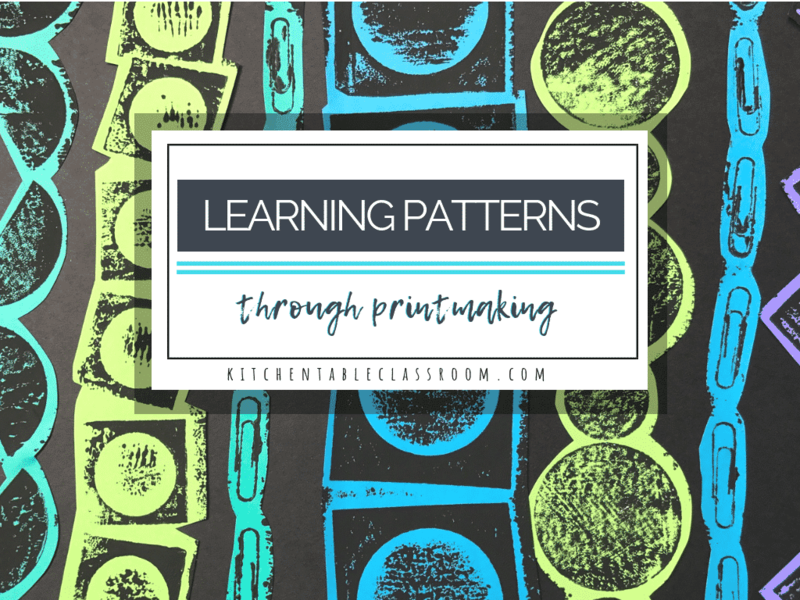 If you enjoyed learning patterns through this printmaking project please share on your favorite social media channel. 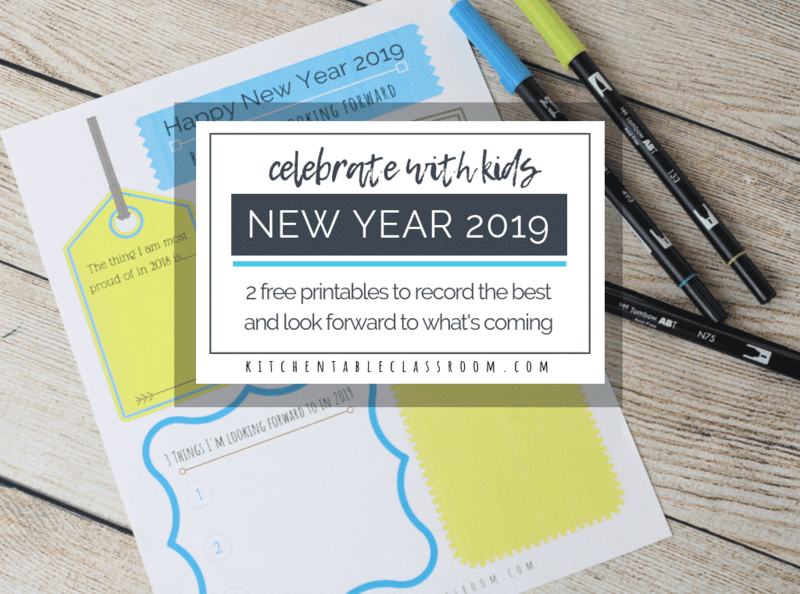 Every single share helps me to bring you more free printables and fun projects! It’s almost one hundred pages altogether. 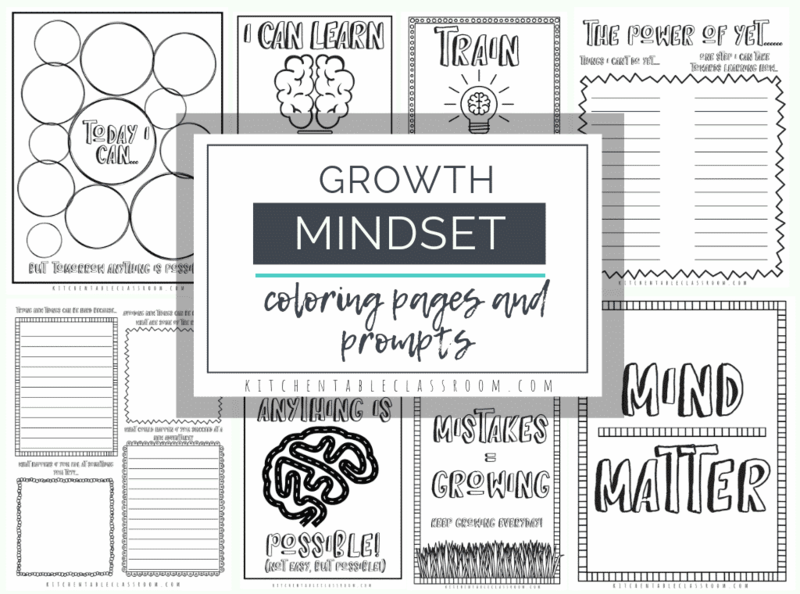 The consumable pages you might want to print for your student to use are in a separate PDF at the end so you wouldn’t need to print the whole thing.